Comes with a multi DPI mouse with rapid fire capabilities and a large water proof and slide proof gaming mat! 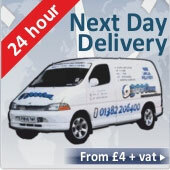 A large mouse mat with a size of 430mm x 320mm, giving you a large surface area to play on! 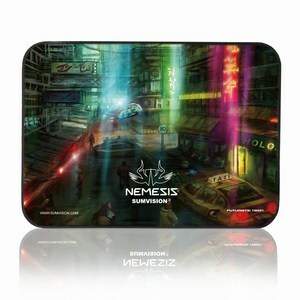 Tightly weaved waterproof material guards against accidental spillages, preventing any damage to the Nemesis mousemat. A large angular gaming mouse with up to 3 dpi settings (800 - 1200 - 1600). Comes with rapid fire button to help with your gameplay! LED lights has a idle pulsating mode breathing life into your mouse. Intertwined fabric design helps prevent the cable from tangling unlike rubber cables.